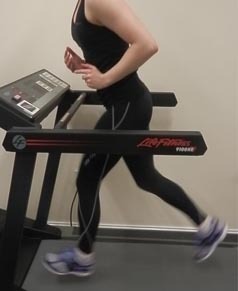 There is no ‘perfect’ running technique, although clearly, some techniques make runners faster and more efficient that others. Each person is different. Injuries and poor performance usually determine whether a run needs changing and which items to change. Are you running with pain? You may not need to, a running assessment will enable you to run efficiently and. Many people who run with pain simply need their run changing. This is not as easy as it sounds as your brain will have allowed your body to use a compensated running technique for many years, often ignoring correct muscle use and instead adopting a compensated technique. This will always be less efficient and increase the likelihood of injuries. Here at Paragon Physiotherapy we take running properly very seriously. 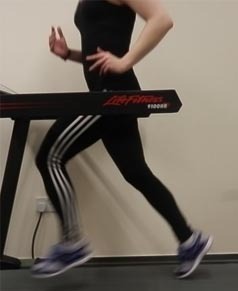 We often see runners out and about and it is clear by their pace and technique that they have never been assessed and properly instructed. We offer specialist running coaching. 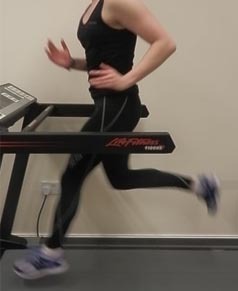 Initially starting with a 75 minute accurate and objective assessment of your biomechanics, running style, strengths and weaknesses, all of which contribute to your overall run. We use slow motion video analysis taken from side, rear and front angles to give a clear picture of where you may be going wrong. Consequently most people require a bespoke training programme, which may incorporate strength and conditioning training in our onsite fitness suite. To this end we incorporate the services of an in-house strength and conditioning coach who can provide one to one coaching. 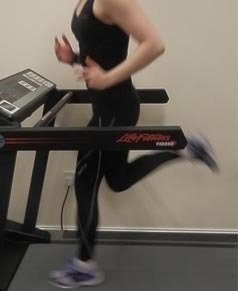 Running is a skill, although we are designed to run, our often sedentary lifestyles mean we do not always have the necessary skills to run well. With 70% of runners being injured annually it is imperative for you to ensure your running style is not causing or exacerbating injuries. This can be as a result of weakness in the back muscles or tightness in the ham strings/lower limb or a combination of both. 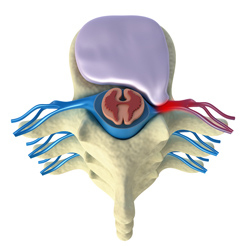 Dysfunctional gluteus maximums pelvic muscles also contribute to this poor position. Mostly this problem comes from excessive internal rotation of the hip but can lead to injuries from the foot upwards. 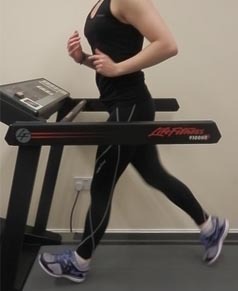 Many runners run with a heel strike especially novice runners. Some manage to run this way without pain or problems. 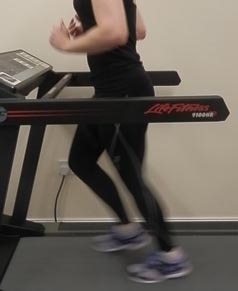 Runners adopting this style often report unable to decrease running times. Starting to run better after four weeks of technical training and strength and conditioning work. Strength and Conditioning is the physical and physiological development of athletes of all abilities. The role of the physiotherapist is to provide a strength and conditioning session, in keeping with your abilities, in order to bridge the gap between the theory of training and applied training. This will help you become faster, stronger and more flexible and to build muscular endurance so you perform better and remain injury free. Paragon Physiotherapy Ltd can not only assist in injury treatment and recovery, we also provide key training in order to reduce the likelihood of recurring injuries. 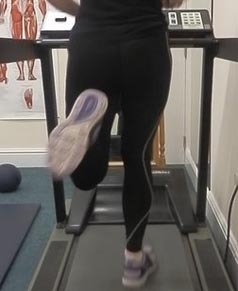 Strength and conditioning coaching from Paragon Physiotherapy is bespoke and you will be assessed fully prior to commencing any training programme. Your strength and conditioning programme will encompass many different techniques to ensure optimum benefit. This may also include the use of a personal trainer, who is affiliated with Paragon Physiotherapy, in order to provide maximum benefit. There are many ways a well constructed programme can add to the rehabilitation, speed, agility, endurance and strength of the athletes – a periodised programme that targets both strengths and weaknesses will produce the best possible performance.